We used this Anschutz Super Air 2001 for the following pellet test. We installed a B&L 4-12 scope on it, using EAW scope mounts. All tests were shot at 15 meters. 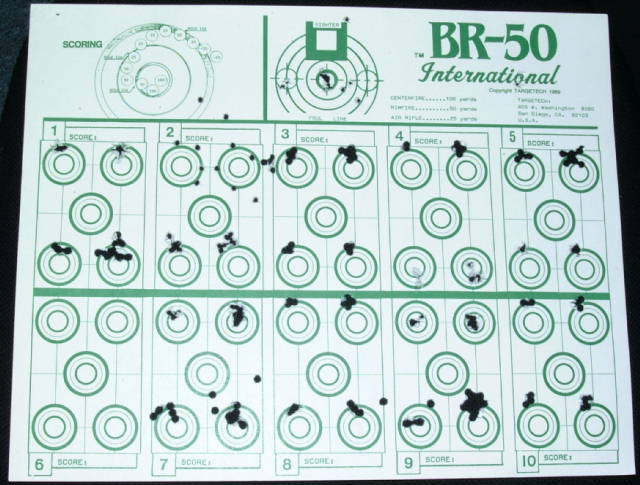 Some of you might notice that some groups with some pellets are better with 10 shots than 5 shots, I have no explanation for this, except that some of the pellets fired in the 5 shot groups were slightly damaged. 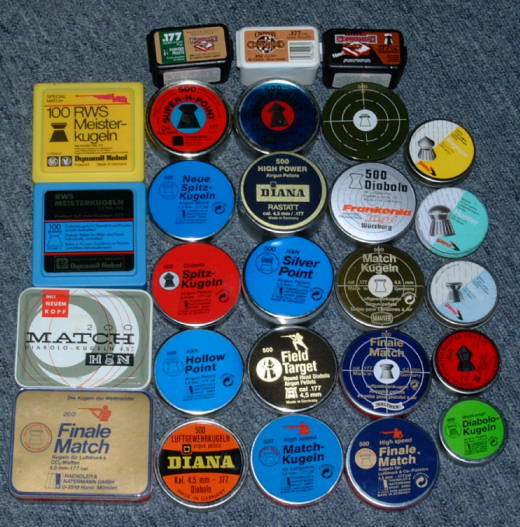 This is the collection of pellets used. For those who have never seen these. They are the Prometheus hunting pellets. They are made of steel, and have a plastic jacket. 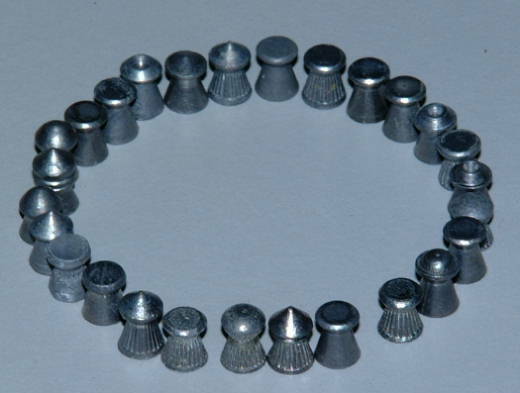 The pellets weigh 5.1 grains and the jacket weighed 0.7 of a grain.